A South Korean lawmaker says North Korea computer hackers stole hundreds of secret military documents from South Korea. The documents are said to include plans for destroying the North Korean leadership if a war takes place. The South Korean official, Lee Cheol-Hee, is a member of the ruling Democratic Party of Korea and the National Defense Committee. He said on Tuesday that defense officials talked about the stolen documents. Officials believe North Korean hackers were able to see classified military documents stored at a South Korean defense data center. The attackers reportedly gained control of the documents in September 2016. Read more . . . The military is facing a growing recruiting crisis: 71% of Americans between 17 and 24 can’t meet the minimum criteria for service, which places the burden of service on an ever-small and shrinking pool of troops with a family history of joining the military. At an Oct. 12 Heritage Foundation panel in Washington, D.C., Rep. Don Bacon, a Nebraska Republican and former Air Force one-star general told attendees “the single most important ingredient to readiness is the constant flow of willing volunteers.” Read more . . .
. . . the Department of Veterans Affairs has played a little-discussed role in fueling the opioid epidemic that is killing civilians and veterans alike. In 2011, veterans were twice as likely to die from accidental opioid overdoses as non-veterans. One reason, as an exhaustive Newsweek investigation—based on this reporter’s book, Mental Health, Inc.—found, is that for over a decade, the VA recklessly overprescribed opiates and psychiatric medications. 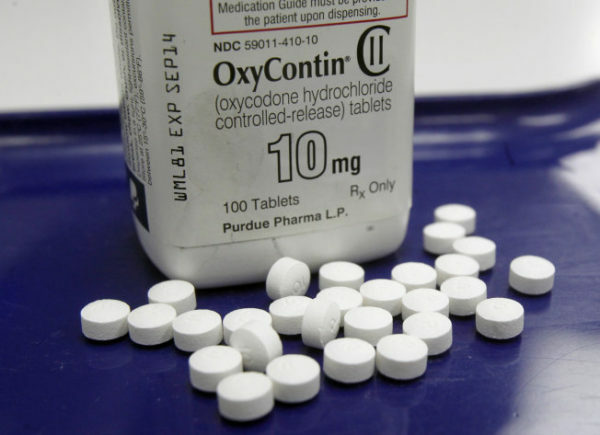 Since mid-2012, though, it has swung dangerously in the other direction, ordering a drastic cutback of opioids for chronic pain patients, but it is bungling that program and again putting veterans at risk. (It has also left untouched one of the riskiest classes of medications, antipsychotics—prescribed overwhelmingly for uses that aren’t approved by the Food and Drug Administration (FDA), such as with post-traumatic stress disorder.) Read more . . . There is a real appeal to shouting into the void: the ubiquity of Google search as confessional, the popularity of PostSecret, the draw of confiding in a trusted friend with the hope verging on understanding that our secrets won’t be shared all point to this. A group of researchers from the University of Southern California, with funding from the DARPA wing of the Department of Defense, believe that desire might drive a preference among veterans with PTSD to anonymously discuss their symptoms with a computerized avatar. Read more . . .
Veterans’ advocates are urging Congress to make the Department of Veterans Affairs (VA) support organizations that provide service dogs to veterans suffering from post traumatic stress disorder and other conditions. The Association of Service Dog Providers for Military Veterans held a press conference Tuesday with members of Congress to advocate for the Puppies Assisting Wounded Servicemembers Act (PAWS Act), which would provide $25,000 grants for eligible organizations to train and pair service dogs with a veteran. 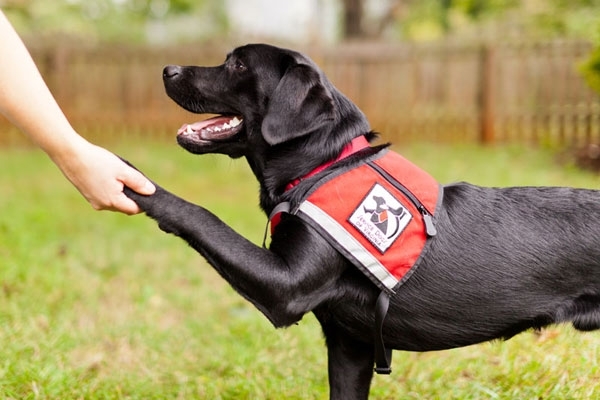 The bill would also prompt the VA to launch a pilot program looking at the links between service dogs and mental health. Read more . . .